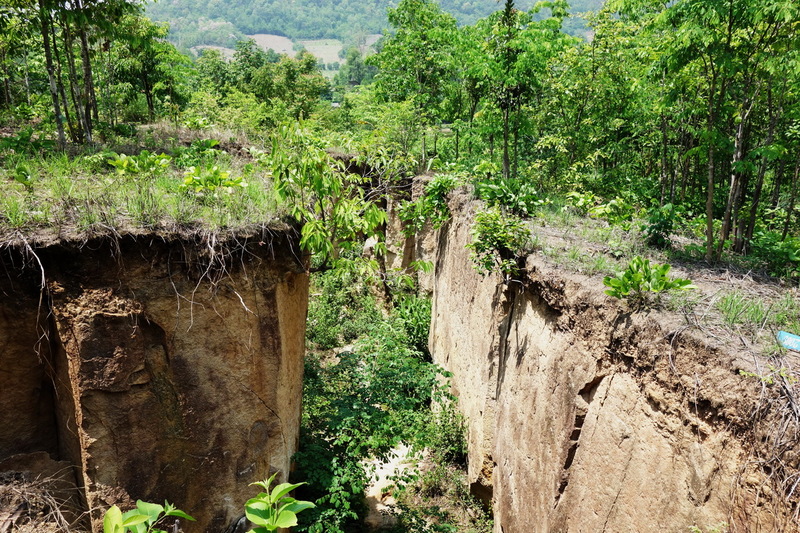 One day in 2008, without any warning, earthquake, rain or flooding, the land simply cracked. The farmer happened upon it with his cow in tow, shocked at what lay before him. 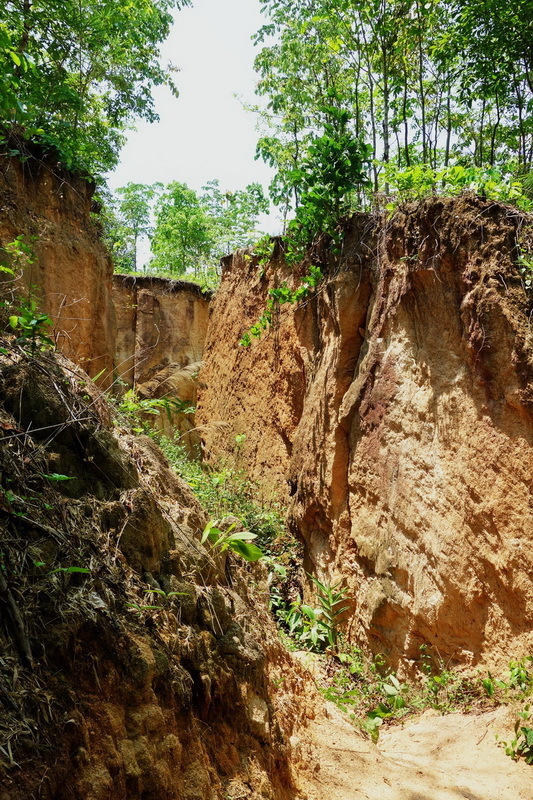 The land had cracked 2 meters wide and 11 meters deep, making it unsuitable for farming and destroying his crop and income. The Land Split is a unique spot, not because of the split itself, but for the hospitality you’ll receive from the owners. 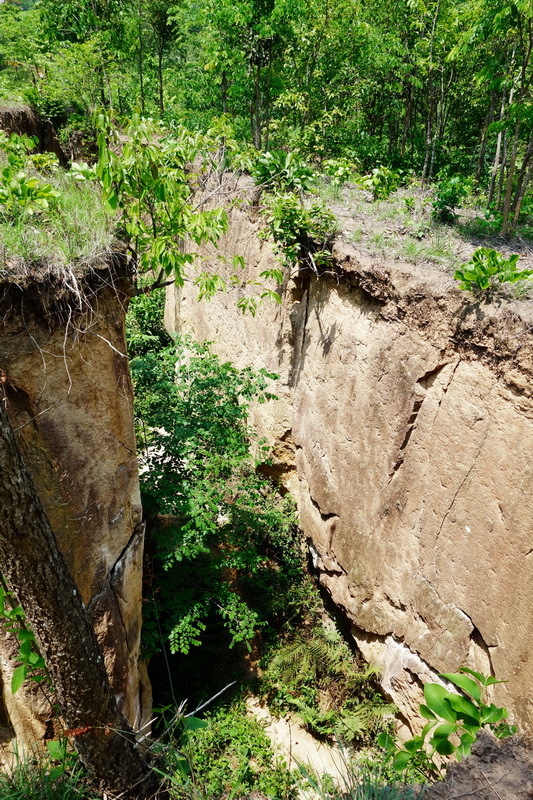 The tourist attraction was created in 2008 and 2011, when the land split 11 metres deep, making it unsustainable for farming. It’s just a short walk up the stairs to see it. 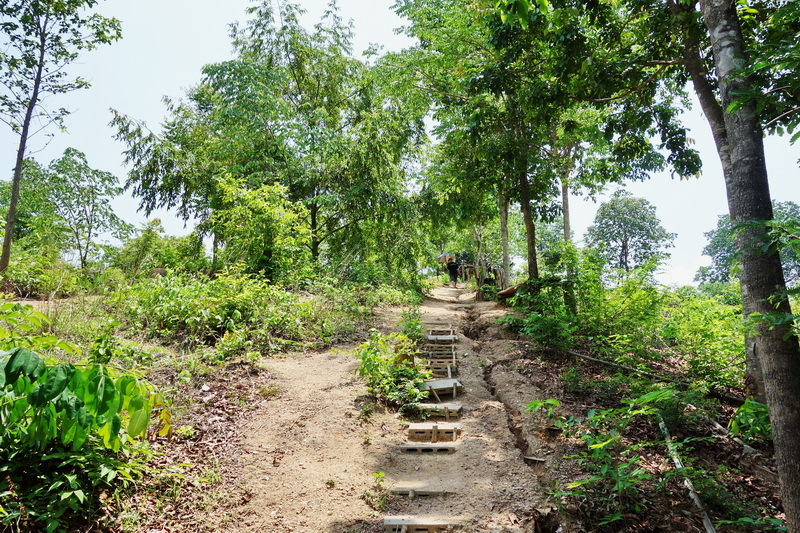 The landowner put great effort into making the site accessible for tourists by preparing a circular walk through the land and around the land split with corresponding signage and facilities. 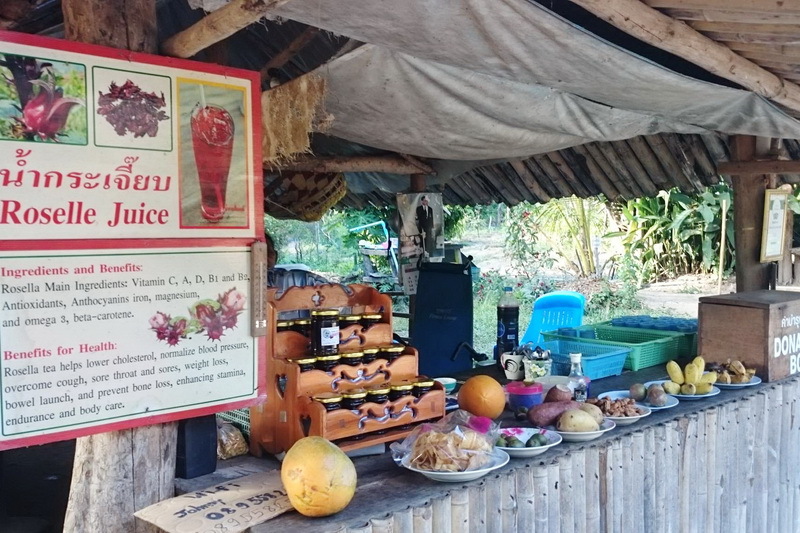 He was extremely hospitable, offering excellent juice and fruit from his own garden for a voluntary donation. There is no entry fee, you simply donate what you like before you leave. They trust you will pay what you feel it is worth. The Land Split is located just a few minutes of the 1095 Highway near a temple called Wat Phaem Klang. After you finish at the Split, you can head over to the Pembok Waterfall which is located just 3.2 kms away.